Today marks the centenary of the October Revolution. The revolution not only brought down the Romanov family and the Russian Tsarist empire, but it changed the map of Europe irrevocably, and set the stage for most major events in world politics that unfolded in the century that followed. Although it was known officially known in Soviet literature as the Great October Socialist Revolution and is commonly referred to as Red October, the October Uprising, the Bolshevik Revolution, or the Bolshevik Coup, it actually began on 7 November 1917. The Russian calendar had slipped behind the Gregorian Calendar or Western Calendar by almost two weeks, and so in the Russian calendar of the day, 7 November 1917 was still computed as 25 October 1917. The events in Saint Petersburg were led by the Bolsheviks and Vladimir Lenin and set in chain the larger Russian Revolution of 1917, leading later to the formation of the Soviet Union. 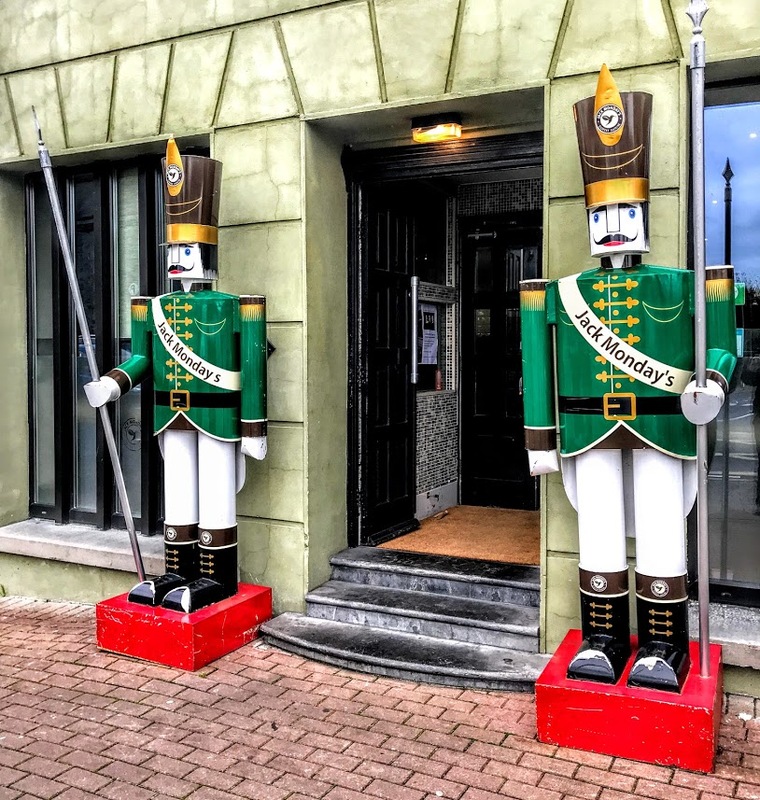 But as I strolled through Limerick last week, I was reminded that Limerick had its own revolution within 18 months that came to be known as the Limerick Soviet. 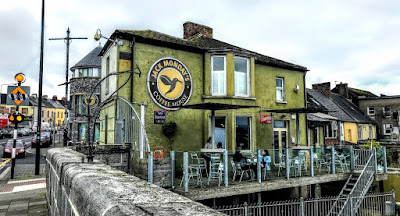 I had lunch last week in Jack Monday’s, a café on Thomondgate, with a balcony at the back that overlooks the River Shannon and Thomond Bridge and across the river to King John’s Castle. The Limerick Soviet was a self-declared Soviet that existed for almost two weeks, from 15 to 27 April 1919 in Limerick. At the beginning of the Irish War of Independence, the Limerick Trades and Labour Council organised by a general strike as a protest against the army’s declaration of a ‘Special Military Area’ under the Defence of the Realm Act. The special military area was to cover most of Limerick city and a part of Co Limerick. But, in response, the Limerick Soviet ran the city for almost two weeks, printing its own money and organising food supplies. The Irish War of Independence developed was at its height in 1919. Robert Byrne, a trade union activist and member of the IRA, was arrested and sentenced to one year in prison with hard labour. Byrne led his fellow prisoners in a campaign of civil disobedience, and went on hunger strike. He was taken to hospital under armed guard after three weeks. On 6 April 1919, the IRA tried to spring Byrne from hospital. But in the gunfight that broke out, Constable Martin O’Brien of the RIC was killed and another policeman was seriously injured; Byrne was also wounded and died later on the same day. Byrne’s funeral was a tense public event on the streets of Limerick. It was attended by an about 15,000 people, and there was growing concerned that trouble would break out. Martial law was imposed on Limerick city and part of the county on 9 April 1919. This meant that movement in and out of the city was restricted and the army had the power to seize vehicles and disperse gatherings. Police permits would be required of everyone entering or leaving the city. Workers required permits to enter the city and known Republicans could not get a permit. Troops and armoured vehicles were deployed throughout the city to enforce the declaration, which was to come into force on Monday 14 April 1919. But on Sunday 13 April 1919, a general strike was called by the city’s United Trades and Labour Council, to which Byrne had been a delegate. From 14 April, running the strike was devolved to a committee that was said to have described itself as a Soviet. 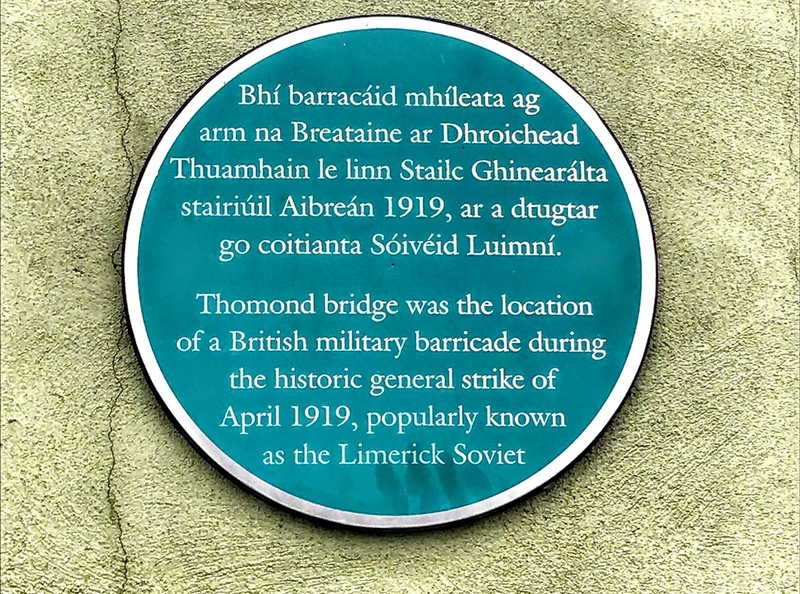 The committee followed the example of the Dublin general strike in 1913, but the term ‘Soviet,’ meaning a self-governing committee, was a new and innovative word, made a popular term after the October Revolution in Russia 18 month earlier. 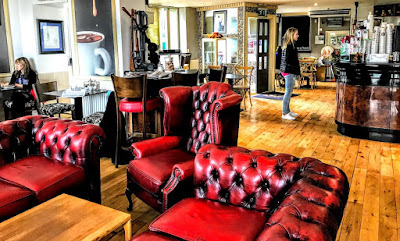 The uprising may have gone unnoticed by the rest of the world but for the fact that a large number of international journalists were in Limerick at the time to report on a trans-Atlantic air race between Ireland and America that had been organised at the same time, beginning at Bawnmore, Co Limerick. The race was called off when the plane that was due to part in the race was ditched off the coast of Wales. The assembled journalists from all over the English-speaking world now turned their attention to the story of an Irish Soviet and interviewed the organisers. The role of the international media in reporting the establishment of a workers’ Soviet in Limerick was told in a recent documentary, The Limerick Soviet, produced by the Cork-based Frameworks Films. The general strike was extended to a boycott of the troops. For two weeks, the strike committee ran the city even going so far as to issuing its own currency, controlling food prices and publishing newspapers. Outside Limerick, there was some sympathy in Dublin, but not in Belfast, for the strikers, and there was no support from the National Union of Railwaymen, for example. After two weeks the Sinn Féin Mayor of Limerick, Phons O’Mara, and the Catholic Bishop of Limerick, Denis Hallinan, called for the strike to end. The Strike Committee issued a proclamation on 27 April 1919 stating that the strike was over. But was there ever a Limerick Soviet? According to Liam Cahill, The Irish Times was the first newspaper to refer to the strike ‘a Soviet’ and warned it was an attempt to emulate what was happening in Bolshevik Russia. The term ‘Soviet’ was not intended as a compliment but as warning that this was the same type of events as seen in Russia after the October Revolution. As for Jack Monday, he was a West African fitter working on a ship that docked in Limerick during the War of Independence. Inspired by the stories they heard of the Irish fight, the crew on-board decided to fly the Irish flag as the ship was leaving. Maritime custom says a ship should fly the flag of the country of departure when leaving. British troops, enraged that the Union Jack was not fluttering, boarded the ship. A scuffle broke out, and two members of the auxiliary forces or ‘Black and Tans’ were stabbed. Jack Monday was taken from the ship and imprisoned. It was only during the Civil War that followed that he was eventually released. He immediately joined the new Irish army, probably becoming the first black soldier in the army.